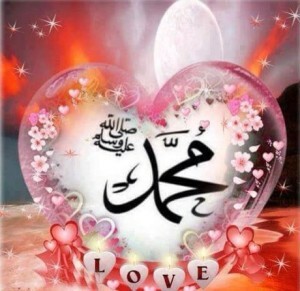 People ask that they want to see Prophet Muhammad (saws)”. It is important to understand that Prophet (saws) is everywhere. That Prophet (saws) Feekum, he is amongst you. To focus on the Physicality is not the door in which the Turuq and Tariqa is moving through.They are not asking to come through the physicality and to be fixated upon the physicality. 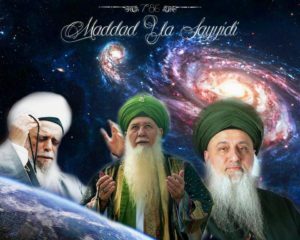 Those are the people of external realities; that everything to do with Sayyidina Muhammad ﷺ, they want to do Seerah. They want to talk about the external life of Prophet ﷺ , talk about the external features of Prophet (sallallahu alayhi wa sallam) and keep describing the eyebrows, the holy face features, the hands and their length. That is beautiful but for Awliyaullah where Allah (Azza wa Jal) is saying: enter the house through the correct door. The correct door that Prophet ﷺ is preferring for the Turuq is: that come through my heart. That this fixation of my form is not important for you. Come to my heart and in my heart you will enter into my soul. If you come to his soul Allah (Azza wa Jal) will allow your light to enter into the soul of Prophet ﷺ . Where the world of form is constantly separated, one glass and one glass are two glasses. So by coming to the door of the form, to see Prophet ﷺ in form, and to keep yourself in the world of form, you are two. That will become much harder to enter into the reality. Then `Ashiqeen [lovers of the Prophet (saws)] come into our lives and say, “Keep making darood sharif, keep making durood shareef,” because your frequency is not at a place with which to enter the light of Prophet ﷺ . Qul jaa al haqq, (when Truth comes) you will be zahooqa (annihilated). 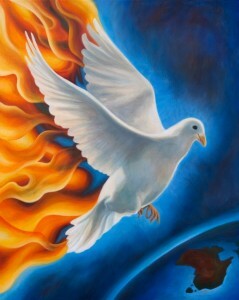 Allah (Azza wa Jal) says: when the truth and falsehood come, falsehood by its nature will perish. Then if you come too quickly into the presence of Prophet ﷺ you will perish, you will be nonexistence. 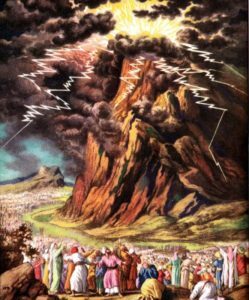 [ Allah ] said, “you will not see Me, but look at the mountain; if it should remain in its place, then you will see Me.” But when his Lord manifested His glory on the mountain, He made it as dust, and Moses fell unconscious. Yaa Rabbi! let me see You.” He didn’t say, “Yaa Allah, let me see you.” So every time you read Holy Qur’an and the word “Rabb” in the way of marifa’ah is to describe Lordship. There are many lords, there is the lord that governs the body and all of its desires and then the lords towards the Heavens. Lordship is what governs you, what rules you. So Nabi Musa (alayhi ‘s-salaam) said, “I want to see, at that level of marifa’ah and yaqeen (certainty), I want to see my lord.” Then Allah (Azza wa Jal) said, and this is a lesson for us, “You can’t see Me. If you want to see Me, first look to the mountain.” If its vibration, because the mountain is the Qutb, the Awtad, the Awliyaullah (saints), “look to them, if you are able to take that nazar,” and it became like dust. That is an example for us that what we are trying to seek are the oceans of Haqaiq and not that which perishes. The physicality that perishes, why are you focused on that? So when they want to make fun of all the teachings of Prophet (sallallahu alayhi wa sallam) being alive, they keep mocking the physical, “O Prophet (sallallahu alayhi wa sallam) is sitting there in his physicality?” No, we don’t care for physicality. This whole world is like a mosquito wing, Allah (Azza wa Jal) does not care for it. What Awliya (saints) care for is the eternal reality. What Prophet (sallallahu alayhi wa sallam) is describing for us is: my light is the light of entire universe, raise your frequency to come into my proximity because if you come now with the light you will be ghashiya, dust. You will be dust, you will be nonexistent. Allah (Azza wa Jal) says: don’t ask for that which will cause you harm. That is why then these big Awliyaullah know how to moderate the approach. Because if it was up to us we would say, “Yaa Rabbi I don’t care, let me come.” Boom! You would be out, dead, everything will collapse upon your insan because that light comes upon the soul, and the body can’t (take it) it will become deformed or may die. Because the amount of energy that is coming upon the soul is so powerful that the body can’t handle it. Alhamdulillah the kamil shaykhs, Mawlana Shaykh Hisham and Sultan al-Awliya Mawlana Shaykh Muhammad Nazim al Haqqani are kamil (perfected). They know how to bring this approach coming, coming, coming. That is why through the tongues in which they inspire: they keep saying, “come and sit at the mehfil” because the energy you don’t have, the shaykhs will begin to convey from their light in a frequency that is sufficient for each person. They are getting isharat (indication): that don’t release too much, don’t put too much of your heart because there is somebody new in the room and he is going to pass out from that energy. 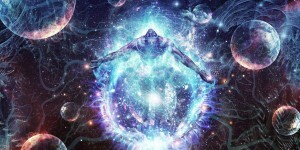 Or they see some associations where they are all not new, they have been there for a long time, and they feel a tremendous (energy) because there is a permission at that time to release that kind of energy. That people are being dressed and blessed from that energy. It means then a continuous, continuous, amount of energy dressing the soul, dressing the soul. Then the prescription and the medicine for us is to continue with, is to keep making darood sharif, keep making darood sharif. That is why they talked about it tonight. 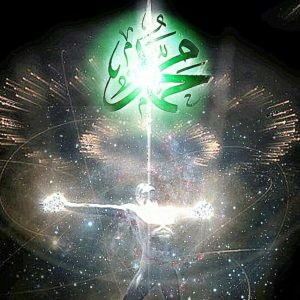 As you raise the frequency of your soul, the light and energy which your soul is emanating, the approach becomes much easier into the light of Noor Muhammad (sallallahu alayhi wa sallam). This is like entire oceans of Bahrul Qudrah, the Oceans of Power that the entire created universe is emanating from that Ocean of Power! 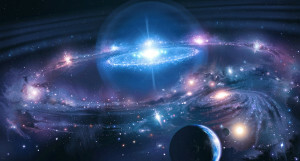 So with Dalail Khayrat, with the darood shareef and all their praisings, all the praisings, the souls frequency is increasing, the light and the spectrum in which they are operating is increasing, those two lights can begin to move into that proximity from ati-ullah wa ati ar-rasula wa `ulul amri minkum. Means then the `ulul amr are giving the prescription: come, come, and as you are increasing your frequency you are able to enter into their light. That is why you see that as soon as they talk you fall asleep because the energy is too much. And you begins to like ‘shut off, shut down’ by the power that is coming. It means as you are approaching, approaching, then they are taking you into the presence of Prophet (sallallahu alayhi wa sallam). Prophet (sallallahu alayhi wa sallam), with his energy, when you begin to make tafakkur and contemplate, you begin to feel the energy of Prophet (sallallahu alayhi wa sallam), there is no need to look for the sura (face). Don’t look for the face because our way is the way of humility that, “I am nothing yaa Rabbi, I am nothing, I am nothing, that keep me in the presence of my shaykh.” As soon as I make my tafakkur, as soon as I make my salah, as soon as I make any action, any worshipness, I have to know that I am in the presence of my shaykh, and his nazar (gaze) is always upon me. Otherwise I become the worst of character. If I don’t know with all my heart that my shaykh’s nazar is upon me then you are trying to teach yourself that everything good is coming from you, from yourself. How is everything (good) coming from myself? If you leave this world to me and myself I am the worst one. But coming from the nazar of my shaykh, everything is blossoming, everything is blessed, every difficulty turns to ease. So I know with all my heart, all my soul, his nazar is constantly upon me. That, “I don’t need to see your holy face, I am nothing, I am nothing, I am worthy of it, I am not worthy of it.” And keep making your darood, keep making your salawat so that you will be crushing yourself. Who are you to be looking at their face? Then you begin to feel all the energy around you because Allah (Azza wa Jal) said: We dressed that dog with [someone sneezes…Shaykh says: Haqq], We dressed the dog with haybah because you want to feel the oceans of Jalali (Majesty) and Jamali (beauty). What Allah (Azza wa Jal) said: We dressed the dog with haybah that anyone who looked to the dog, they were trembling, they didn’t even need to look at the Ashab al-Kahf. Allah (Azza wa Jal) said: just that dog if you looked at Qitmir …because of what it represents of the reality of Sayyidina Mahdi (alayhis salaam) and Imam Ali (alayhi ‘s-salaam). If you just looked at the haybah of the reality you begin to tremble. That is what we want. We want to always tell the physicality, “I am nothing, I am nothing, I am nothing yaa Rabbi but let me just be dressed by their energy, to feel their energy, their nazar to be upon me. 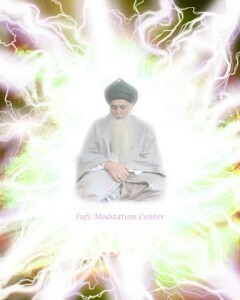 Sayyidi dress me from your energy, I am nothing. If I am nothing, then let your energy come and be present with me. I am like a dust in your jubba,” because you have to destroy the form. If you are coming and saying, “I want to see you but then you are two [Shaykh lifts two glasses and brings them together] and they are like this [the glasses form a barrier for the drinks inside, no mixing of its contents]. What are you going to do with that reality? So (say), “I am nothing, I am nothing, I am nothing, Oh let me just be in his jubbah.” [Shaykh Pours water from one glass to another], you lose your physicality, and you no longer have to be there, but your light is in there, your soul is with them. It is in their ship. Their ship is already with Prophet (sallallahu alayhi wa sallam). Awliyaullah are in the heart of Sayyidina Muhammad ﷺ. Their souls have traversed the Bahr Al-Qudrah (Ocean of Power), their reality is in the heart of Prophet ﷺand as a result Prophet ﷺ sends them to be amongst people: feekum. Then another understanding of Holy Qur’an: feekum, that he is amongst you (alayhi ‘s-salaam). Who? Z..(attendee’s name), the physical, or Z.. the Nur Muhammadi that he carries within his heart? Allah says: he is amongst you, Prophet (sallallahu alayhi wa sallam) is amongst you. Prophet (sallallahu alayhi wa sallam), is 124,000 lights of Sayyidina Muhammad (sallallahu alayhi wa sallam) are amongst humanity at all times. That is why we asked and Mawlana inspired: study the Sun. You have to study the Sun to understand Allah (Azza wa Jal)’s Creation. That Sun if you don’t get sunlight you become white, like L. (attendee) [Laughter] but more than that L. is if you go into a cave with no sunlight, you lose all your pigments and your bones begin to break, because here we have to take Vitamin D because of the winter, there is no Sun. But if you were completely cut from the Sun, your whole body will fall apart. Means you are in need of the Sun. So don’t say, “I am in need only of Allah (Azza wa Jal).” No doubt everything is in need of Allah (Azza wa Jal) but He wants to teach us a lesson that everything has a cause and effect, that is your existence. That is why you have to thank Me, I gave you the Sun. Do Shukr. 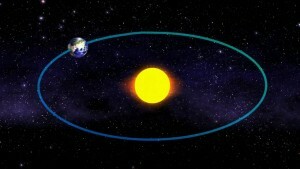 The Sun is shining 360 Degrees, Why is the Universe Seems Dark? Then you begin to study that sunlight: if I don’t have it, my bones fall apart; I won’t be able to eat; I won’t be able to see. You know that Sun is shining 92 million miles away. But if it is shining upon Earth then why is it dark in between? It is not shining throughout the 92 million miles, because the whole Space is black, but we don’t have a mind to think. Right? They say, “O the daylight and the nighttime.” Allah (Azza wa Jal) keeps saying: daylight and nighttime. You think it is so superficial, so small: ‘daylight and nighttime’. That Sun is shining in 360 degrees all the time. So it must be that the whole universe is lit up but why is it black and in darkness? Why is it that the ni’mat of Allah (Azza wa Jal) enters the Earth? When you say sunrise, what takes that light through the invisible or through the blackness of this entire galaxy and reach to the Earth and become a Noor (light) for you to have? Nobody is explaining that. They say, “O the Earth is in darkness and then it comes to (faces) the Sun, then we have sunlight.” That Sun is 92 million miles away shining in every direction possible, then the entire universe should be lit up from the Sun. But what angel comes and brings that ray onto the Earth and turns it on? Those who are closest to it, it is a force that destroys everything. Anything that moves into the proximity of it, when that sunshine is coming out will be annihilated. But it comes (onto Earth) with a peace and tranquility because wa ma arsalnaka illa rahmatan lil aalameen. Allah (Azza wa Jal) is describing that: that reality is not coming except as a mercy to you by the time it comes into the atmosphere of the Earth, it illuminates and turns on, and we have daylight. But there is no daylight in Space, it is still black. All the rays are coming, but it’s black. So sunlight, and then it’s black and then the Earth is lit. These are big realities but we are not understanding them because we are not appreciating what Allah (Azza wa Jal) has given us. If you are in existence, because of that sunlight. Your bones are prospering because of that sunlight, your breath is coming because of that sunlight, and that is an imitated light, the light of Sayyidina Muhammad (sallallahu alayhi wa sallam) is the source of all the suns of this universe. Every sun of this universe takes from the Noor al-Muhammad (sallallahu alayhi wa sallam). Then what do you think, what Prophet (sallallahu alayhi wa sallam) is describing: what is coming from my heart and amongst you, they are Shams al-Arifeen. 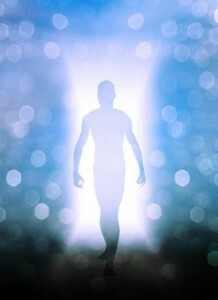 If you thought you needed sunlight for your bones, what do you think they are sending to your reality? If not for their light shining upon you, your heart is dead! That light that is coming, it is coming from those 124,000 suns upon this Earth. That is why they say if you study what the physical sun is giving to you, it will only be a drop of our understanding of the ‘spiritual sun’. The illumination of your soul, and it’s light, it’s dressing, is coming from Noor Muhammad (sallallahu alayhi wa sallam) through those 124,000 feekum. That is why Prophet (sallallahu alayhi wa sallam) described: the Ahl al-Bayt and the Awliyaullah by means of their light, Allah sends vegetation, by means of their light Allah (Azza wa Jal) sends rain, by means of their light Allah (Azza wa Jal) sends a Rahmah. Why? because they are the walking suns of reality. They can take the dead and bring it back to life and that is what Nabi Musa (alayhi ‘s-salaam) was looking for. When Nabi Musa was looking for one of those people, he was looking for Sayyidina Khidr (alayhi ‘s-salaam). He had a dead fish that they were going to have for lunch, and the fish came to life and jumped into the river, that was a Sign. The fish is symbolic of the soul. Means those who can bring a dead soul to life, they are carrying the real light and the real sunlight, and they are from the light, from the heart of Sayyidina Muhammad (sallallahu alayhi wa sallam). InshaAllah Allah (Azza wa Jal) grant us a long life, and an understanding of the reality of Prophet (sallallahu alayhi wa sallam) by studying a little bit about the reality of the physical world that we live in. Then we understand Allah’s Greatness. When we say, “Allahu Akbar”, Allah (Azza wa Jal) is describing: from whatever you understood, I am Akbar, I am more supreme than anything you can understand. That gives the flavour of what is Allahu Akbar. When you think about all this greatness that He gave to Prophet (sallallahu alayhi wa sallam) at that time you say, “Allahu Akbar,” (Allah is Great), Allah (Azza wa Jal) says: I am even more Akbar than anything that you can imagine, anything that I gave to Prophet (sallallahu alayhi wa sallam) is still not even a drop in My Greatness. Subhaana rabbika rabbil `amma yasifoon wa salaamun `alal mursaleen wal hamdulillahi rabbil `aalameen. 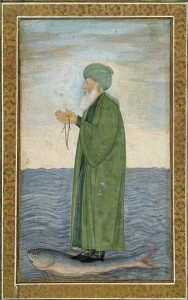 Bi hurmati Muhammad al-Mustafa, bi sirri surat al-Fatiha.